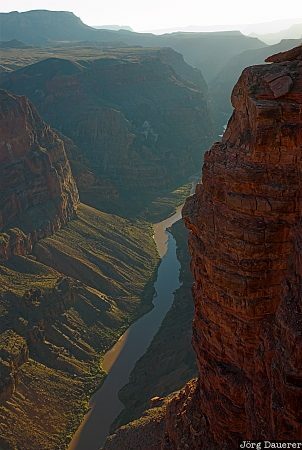 The Colorado River at the Grand Canyon seen from Toroweap Point as the rocks are illuminated by warm evening light. Grand Canyon is in northern Arizona, United States. This photo was taken in the evening of a sunny day in October of 2006. This photo was taken with a digital camera.